The last time you cut your finger or scraped your knee, you probably saw a red liquid ooze from your body. We call that liquid blood. Why do you have blood? Every cell in your body needs certain things to survive and function. Cells need oxygen, water, nutrients (food), and they need to get rid of waste and other harmful substances. Blood carries everything the cells need and it works as a “garbage truck” to remove unwanted and harmful trash. Today, we know that blood keeps you alive. If a person loses too much blood, that person may die. 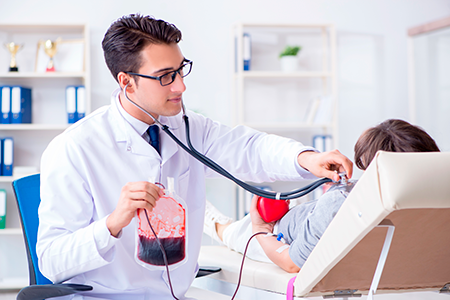 In fact, if a person is in an accident and has lost lots of blood, doctors often will give him a blood transfusion. 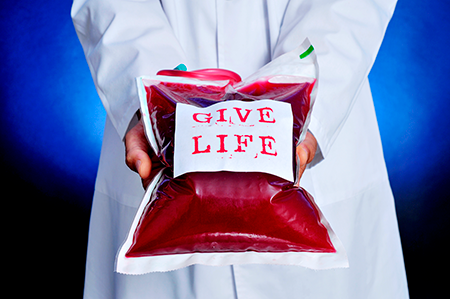 A blood transfusion is when more blood is pumped into someone’s body. 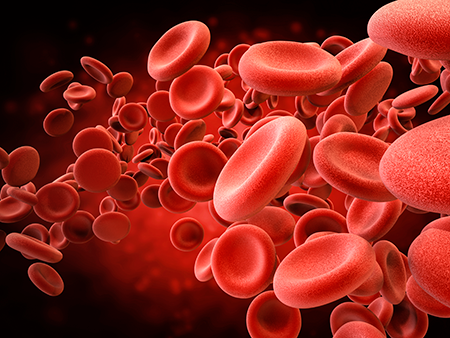 It is interesting to learn, however, that most doctors and scientists in the past did not understand how important blood is. In fact, they thought that blood could become “bad” and needed to be removed from the body. The first U.S. president, George Washington, came down with a fever in the year 1800. His doctor tried to help him get better by removing much of his blood! The doctors took out about 80 ounces of his blood. Of course, this did not help George Washington get better; instead, it led to his death. This idea of bleeding patients was common practice until about 200 years ago. But what does all this have to do with the Bible? Thousands of years ago Moses stated: “For the life of the flesh is in the blood” (Leviticus 17:11). Today we know this to be true, but ancient people did not understand blood’s importance. How did a shepherd like Moses come to know such information? Was it just a lucky guess? Certainly not. Moses wrote this down, not because he was a medical genius, but because he was guided by the Great Physician. Once again, we see God’s mark on the Bible.